We bought an investment property in 2010 and asked Bernie Kroczek Real Estate to find a tenant. We intended to manage the property ourselves. However, Bernie’s property management team handled the lease so competently that we still trust them with managing the lease and have no intention to go without them. I wish to thank Bernie Kroczek and his staff for the friendly manner and helpful way that they conduct their business, as I had the difficult task of having to sell my late mother’s home in Mount Hawthorn, it had been the family home for 64 years. There is no gloss just quiet methodical, professional service. We were kept up to date regularly on the progress of the sale. A most professional and honest man to do business with and I would recommend Bernie Kroczek Real Estate to anyone, buying or selling, a property. I really liked working with Bernie. The thing that appealed to myself and my husband was that Bernie wasn’t pushy, he was really realistic in setting our expectations and didn’t over promise. He gave us a lot of reading material, which gave us a lot of information to help us make our own decisions without forcing it on us. In selling our unit, overall I have to say he was always accessible, always there for me to have a chat with, always called me back and was always willing to meet us when we needed to catch up. He gave us updates on upcoming appointments, and we never had to chase him up for anything which was really good for us. Also, I felt like I could really trust him and get his honest opinion. When the time came for us to receive an offer he presented it without forcing us into making a decision, and gave us plenty of time to come to the conclusion to accept the offer. He didn’t push us into accepting just to make the sale. When it came to settlement he helped us with the necessary repairs. So from the ‘get go’ to the very end he was always very helpful, we couldn’t have asked for more, so we are really happy! From buying my unit and choosing to have Bernie and his team manage it as a rental for me, I’ve always been pleased and surprised by the level of service and commitment they all have. Victoria has consistently worked hard to have my unit rented for me with quality tenants, with the outcome being that it has been rented 100% of the time I’ve owned it (3 and a half years). Bernie is always there should a question arise about property in general, and I’ve found his sincerity and knowledge refreshing. I feel very secure having he and his team look after my investment, so much so I have recommended Bernie Kroczek Real Estate to family and friends looking for honesty, reliability and results in today’s somewhat finicky market. Thanks to Bernie and the team, we’re really pleased with the service from start to finish, and now we are in our new, first home, so a massive thank you. We couldn’t have asked for better service, so we are really happy. I have known Bernie in a professional manner for over 6 -7 years now , firstly advising me regarding my property in Glendalough and later as the managing agent, Victoria, and now as the selling agent of my property through Bernie with the support of staff, Vicki and Gai. One does not stay with a team like Bernie’s unless they are doing something right, believe me I can not fault Bernie Kroczek Real Estate’s Team in any of the above roles, I have no hesitation in recommending the “Team”. Whatever your needs and wants may be, be assured it will be handled Personally, Professionally, and with a Commitment to cater to YOU the customer. Rest assured some time in the future I will again call on the “Team” for my Real Estate needs. Well done Bernie and all the very best for now and the future. We purchased our investment home through Bernie Kroczek and followed his advice and engaged his property manager, Victoria to look after it. I must say I have been extremely satisfied with the whole experience. Their professionalism, sound advice and personable approach all makes for a stress free journey. Perfect. Bernie recently sold our home in Alexander Heights. 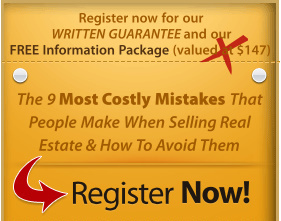 We have sold homes before and found the experience very stressful. Agents were always very positive, eager and accommodating at first; then the pressure would come to reduce the price, not marginally, but a considerable reduction. Sometimes agents would phone half an hour before they wanted to bring someone through, this caused a lot of angst as we didn’t have time to ensure that kids’ rooms were in good order, or that the oven was cleaned properly. Bernie was wonderful, he guaranteed that he would be able to sell the house in the price range quoted. He also assured us that he would always ask when it was convenient to bring buyers through. Bernie never pressured, or tried to persuade us, to list with him. Bernie gave us feedback immediately after he showed buyers through our home and communicated on a regular basis. Our home sold quickly, at a good price and with minimal stress. We are amazed that selling a home could be so easy and satisfying. After our home was sold, Bernie presented us with a gift voucher for three nights’ accommodation in Margaret River. We had a wonderful break, spending quality time together after all the packing and moving. Bernie’s honesty, integrity and empathy ensured that our experience was a positive one. He considered our needs, constrictions and personal situation in marketing our property. 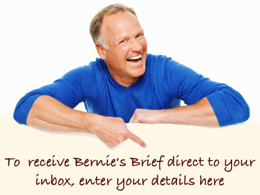 We are most impressed with the personalised service Bernie offers; no pressure, false promises or insincere flattery. What you see is what you get! We got the results we wanted, with minimal stress and no pressure. Thank you Bernie, we have enjoyed the journey. This is the first ever positive experience we have had when selling a home.